The Houston Astros have locked up yet another key member of their 2017 World Series team. 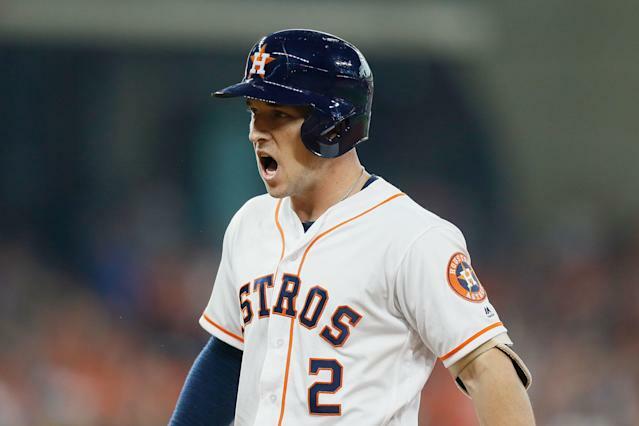 Third baseman Alex Bregman has reportedly agreed to a five-year, $100 million extension to remain with the Astros, according to Mark Berman of Fox 26. The deal will cover the three years Bregman would have been eligible for arbitration and two additional seasons. Bregman is already under contract in 2019. This extension kicks in next season. Under his previous contract, Bregman would have been a free agent following the 2022 season. The new deal keeps him with the Astros through the 2024 season. After being selected by the Astros with the second pick in the 2015 Major League Baseball draft, Bregman worked his way to the majors in 2016 and hasn’t looked back. Since his debut in 2016, Bregman has managed to increase his numbers every season. He hit .286/.394/.532, with 31 home runs, in 705 plate appearances with the team in 2018. Bregman is not the only player from the Astros’ core to sign a long-term deal. The club also inked second baseman Jose Altuve to a five-year, $151 million deal prior to the 2018 season. The deal also comes at a time where talented, young MLB players signing mega extensions are becoming the norm. In February, the Colorado Rockies signed third baseman Nolan Arenado to an eight-year, $260 million deal. Earlier Tuesday, the Los Angeles Angels announced a 12-year, $430 million extension with star outfielder Mike Trout. Compared to those deals, Bregman should be considered a bargain. By fWAR, Bregman was better than Arenado in 2018. He’s also three years younger, which means he should put up prime production much longer. The move does give Bregman the opportunity for another mega contract in the future. By the time his new deal is over, Bregman will be 30 years old. If he can continue to produce like a superstar, he’ll have plenty of suitors on the free-agent market. He’ll have plenty of time to come through on that promise now.